The lawyer whose fight for permanent commission of women officers of Army, Air Force and Navy finally bore fruit and another advocate who won the life-saving cancer drug patent case for an Indian pharmaceutical company are among the four Delhi High Court lawyers to be elevated to the bench soon. According to a source, the Supreme Court collegium has cleared the names of senior lawyers Rekha Palli, Pratibha Maninder Singh, Navin Chawla and Hari Shankar out of 10 names for elevation as judges of Delhi High Court. Besides Chief Justice G Rohini; Justice Deepa Sharma, Justice Gita Mittal, Justice Anu Malhotra, Justice Hima Kohli, Justice Sangita Dhingra Sehgal, Justice Pratibha Rani, Justice Mukta Gupta and Justice Inder Meet Kaur Kochar are the sitting women judges of high court. Recently, Justice Indira Banerjee was transferred to Madras High Court as the chief justice. Presently, there are 35 judges in the high court against the sanctioned strength of 48 posts. 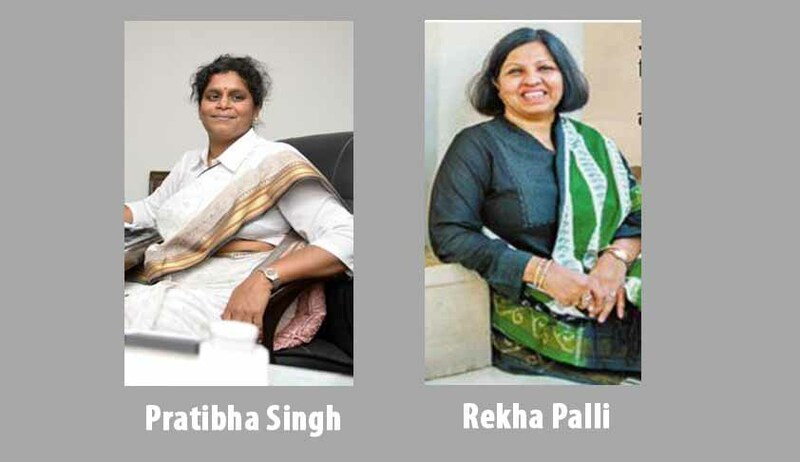 With the elevation of Rekha Palli and Pratibha M Singh, there will be 11 women judges in the high court. Rekha Palli - A PIL was filed in 2003 on various facets of discrimination in the Army and Air Force. But from 2003 to 2007, nothing much transpired. Women officers in short service commission were allowed to serve a maximum period of 14 years. In 2007, a lady officer came forward and filed a writ petition and several others followed her. Since Palli had fought several cases related to the Forces, specifically for a Muslim Air Force officer who was terminated for sporting a beard, had led the arguments for the lady officers. After three years, a division bench comprising Justice SK Kaul and Justice MC Garg found that not granting permanent commission to SSC women officers in the Air Force and the Army amounts to gender discrimination and directed the two defence services to give permanent commission status to all such women officers who were recruited before May 2006, and finally the historic judgment came in 2010. Palli was designated as senior advocate by the high court in 2015. Pratibha Maninder Singh: She is a leading lawyer in intellectual property rights (IPR). She had won a significant patent case of a life-saving drug case of Cipla against Novartis. Swiss pharmaceutical giant Novartis had fought a legal battle in India since 2006, to patent a new version of Glivec, which is mainly used to treat leukemia and is known as Gleevec outside India and Europe. The earlier version of Glivec did not have a patent, because it was introduced into India before the country adopted its first patent law in 2005. Singh, lawyer for Indian generic drug manufacturer Cipla, had argued for Cipla for making a version of Glivec for less than a tenth of the original drug's selling price. The Supreme Court had ruled the patent case in favour of Cipla in April 2013.